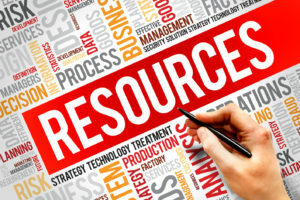 There are a number of excellent online resources for facilities managers and maintenance professionals, but sometimes it can be hard to sort through the large amount of information to find the best resources. That’s why we’ve done the hard work for you, and compiled a list of all the top resources in one place. Simply bookmark this page and come back here whenever you find yourself looking for a resource to help solve a problem. Here you will find several sections, organized by the type of resource. Blogs and online resource libraries, government resources, magazines, associations, conferences, and trade shows, digital tools, awards, podcasts, and books. Each section contains an extensive listing of resources that are sure to move your business or organization in the right direction, whether you’re maintaining a small apartment building or a massive resort. Cherry Logistics is a leading provider of facility maintenance services, and they have an extensive archive of helpful articles for facilities managers on their blog. A collection of user-submitted articles for reliability and maintenance professionals. A funny name with serious results, Dude Solutions provides maintenance and operations management support, optimization services, and education. The Dude blog has news, interesting articles, and information you need as a maintenance and operations professional. Live courses for facilities management and maintenance managers and access to continuing education credit 24/7. Valuable insights and information for luxury retail, retail healthcare, and convenience store facilities management professionals. BuiltWorlds offers video, articles, education, and community for building design, construction, engineering, operations, and maintenance. Thoughts and commentary about maintenance management. News, views, and thought-provoking articles for building managers and owners. Anything and everything related to building automation, articles, reviews, industry news, and eBooks. The Society for Maintenance and Reliability Professionals Body of Knowledge provides an extensive library of metrics, papers, ebooks, and more. Your Facilities Management resource on the internet with case studies, news, articles, networking, education resources, special offers, and more. Tons of great content with news, interviews, international perspectives and more. A forward-looking blog covering topics on service, people, and facilities management. Your essential resource for training, education, and professional development. A blog for HVAC maintenance covering the environmental, technological, social, and personal aspects for the industry. United States Occupational Safety and Health Administration, providing information regarding government safety regulations, hazards, and establishing a health and safety program for your workplace. The Federal Emergency Management Agency site provides guidance on building code provisions regarding hazard-resistance, broken down by type of natural hazard. A comprehensive site with ADA standards, new regulations, and technical assistance materials including help for businesses. The Center for Disease Control and Prevention National Institute for Occupational Safety and Health website offers research programs, data and statistics, educational programs, and extensive knowledge base of health and safety tips. In-depth coverage of all aspects of building operations management for facility executives, including news, technology updates, tips, product information, and more. The magazine for facilities maintenance and engineering managers. News, product information, tips, technology updates and more. The magazine for facilities professionals by facilities professionals. News, insights, and perspectives from inside the profession on the unique challenges faced by the facilities professional. Magazine covering topics from sustainability and green cleaning solutions to personnel management for cleaning and maintenance managers. The latest news, articles, research and information for facility managers of commercial and public buildings. Your one-stop source for information on operations, design, efficiency, and maintenance of facilities. Facilities management news, articles, trends, and reports for all areas of health facilities management. Promoting and educating Asset Management Professionals for a “new era” of efficiency, economic prosperity, social responsibility, and environmental sustainability. Empowering facility professionals worldwide with education, networking, and collaboration opportunities to advance the future of facilities management. Offering information, education, news, salary information and more for the facilities professional. The Building Owners and Managers Association International is a primary source for information, statistics, legislation, building codes and industry trends. Their mission is to advance the vibrant commercial real estate industry through advocacy, influence, and knowledge. A nonprofit organization with a mission to develop and promote excellence in maintenance, reliability, and asset management. They offer education and networking opportunities, a knowledge library and magazine, and local support chapters. FMI brings together government, industry, and academic professionals, offering continuing education, events, networking and collaboration, online forums, and more. NFPA is the leading information source on fire, electrical, and related hazards, offering training, news, research, and codes/standards updates. This site is dedicated to the advancement of Industrial Hygiene Professionals, improving lives, work conditions, and productivity. A gathering place for those in the field of educational facilities management, this site is dedicated to the ongoing evolution of the profession. The SMRP conference is the premier maintenance and reliability event with hands-on workshops, information sessions, and tours. SBC features speakers and presentations from the world’s top companies leading the way in building automation and the Internet of Things technologies. The conference for successful property professionals. Speakers, information sessions, exhibitors, and even the BOMA Challenge, in which one can compete against other attendees by participating in activities to win great prizes. Focused on being at the forefront of commercial design and business trends, NeoCon offers keynotes, seminars, workshops, and exhibits. World-class keynotes, case studies, courses, workshops, certification course and vendor exhibitions are available to help you take your organization to the next level of high performance, reliability. and asset management. The premiere destination for Industrial Hygiene professionals, offering professional development courses, networking events, education sessions, keynote speakers, and relevant topical presentations. Immerse yourself in all things facilities management. Facility tours, keynote speakers, educational opportunities, networking, awards, and an amazing expo floor are all available at the IFMA World Workplace Conference and Expo. An enormous list of available software products complete with reviews to help you make a decision about which would be best for your particular needs. Software solutions for timekeeping, inspections, maintenance, accounting and more. Track technicians, assign work orders, schedule and manage maintenance tasks all in one convenient app. Making property and facility management easier and more efficient. Features include mobile ticket creation, easy ticket dispatch, preventative maintenance scheduling, and reporting. Take control of all aspects of building management from leasing to maintenance requests, finances to property inspections, all with one software management tool. Mobility Work is a CMMS that will help you easily manage maintenance with the power of community–and with no lengthy setup! Incredibly easy to use CMMS system that includes mobile solutions. Setting the standard worldwide for operational best practices for building managers and owners. A BOMA 360 designation signifies that a building is excelling in all areas of operations and management, translating to cost savings and high levels of tenant satisfaction. Recognizing outstanding achievements of IFMA members and communities, honoring those that have made exceptional contributions to the advancement of the facilities management profession. Prestigious awards from Build magazine, recognizing the hidden heroes of facilities management for excellence and dedication to the profession. LEED is a globally recognized certification standard for sustainability. LEED certification consists of multiple levels of certifications in green building knowledge and green building practices, with specialty exams in various disciplines. The CFM credential sets the industry standard for knowledge and competence of practicing facility managers. The FMP designation is a knowledge-based credential for Facilities Management professionals, giving you skills, knowledge, and credibility. Honors those exhibiting exceptional teamwork in facilities management of new health care construction, renovation, and infrastructure projects. Facilities Management leaders discuss workplace trends, challenges and the future of FM practices. Encouraging innovation, this podcast hosts regular guests talking about everything from marketing strategies to collaboration and new resources available to facilities managers. “Papa Dude” takes a look behind the scenes of the wild world of facilities management. Covering all aspects of business, Inc. Uncensored discusses human relations, design, automation, technology innovations and more. Hosting industry experts, a podcast covering topics from every aspect of property management. Covering important topics for anyone that manages or maintains a plant floor. This book offers the tools and guidance required to eliminate inefficiency and create a productive facility integrating people, place, and process. This newly-updated book offers concepts and techniques needed to facilitate the generation of alternative facilities plans, continuing to focus on generating facilities plans. The IFMA’s report advances the progress of the profession by putting a spotlight on the value FM brings to the global economy. This updated manual to understanding the Americans with Disabilities Act is vital for ensuring compliance. A guide to the practices and frameworks that assist facilities managers in meeting today’s challenges, including helpful practices and frameworks that will take you into the future. A comprehensive treatment of the meaning of facility management for everyone from owners and operators to tenants, this book offers advice on better facilities management as well as consolidation of current best practices. A dynamic exploration of the ever-evolving state of facility management, this book offers insight into the technologies used in today’s facility management as well as bridging the gap between design and the real-world facility. This book explores the essential role and responsibilities of the facilities manager as it pertains to building maintenance. This handbook offers detailed information for maintenance and repair, preventative maintenance, general maintenance, and complete detail about cost and repair frequency of many work items. This book has become a key source for a number of facilities management courses due to its strong blend of research-informed opportunities and balanced advice for strategic facilities management. This book offers practical, hands-on expertise and technical data, covering issues in design, construction, operations, and maintenance. Offering theoretical and applied perspectives on facilities management, this handbook provides a sound basic knowledge base of the industry.